I have always enjoyed watching the shows about fabrication – Monster Garage, Biker Build Off, American Chopper, etc. Of course knowing I could not afford to build a real Chopper, I decided to “manufacture” my own, but in a little different way. I had gotten a couple of old junk bikes (Suzuki’s I believe) with no engines from a guy who hauled a lot of junk metal to the scrap yard. 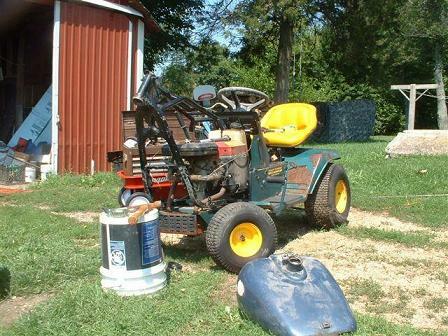 Then I was at a garage sale one day and noticed this riding mower in a junk pile. I asked the guy about it and he said it wasn’t any good and didn’t want it. So, I offered him $20 for it and he took it. I went home and started to put the mower back together and got it running well. 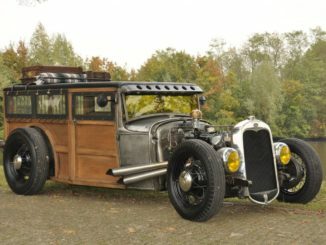 It had a 17.5 HP Briggs & Stratton Twin and hydrostat transmission in it. So I got to thinking – I have always wanted a chopper, so I cut the triple-tree from the front of one of the bikes and a friend extended the forks about 6″ for me. 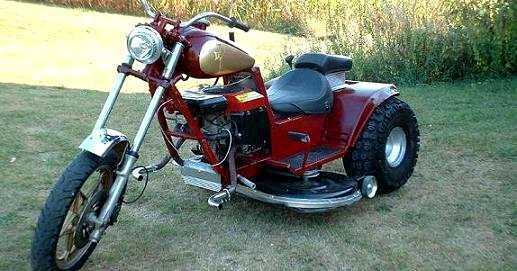 I cut off the front end of the riding mower and put the front of the bike on the front of the mower. I didn’t have much spare metal around so I took an old metal bed stand and made part of the frame with it. 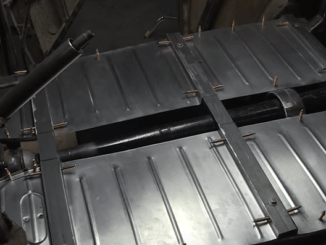 The chrome is painted and cut out of an aluminum running board. The chrome exhaust is from an old animal guard off an old truck. The forward and reverse handle on the right side is a hydraulic jack handle. My friend Jim gave me a Harley-Davidson seat and I believe an old Harley-Davidson gas tank too that we had to “fix all the leaks” in. After I got it together, I sanded it down and bought several cans of spray paint and a friend, Travis, helped me tape and spray the tank. My son, Michael made me some decals for the tank. Another friend, Lloyd, gave me some ATV tires for the back. So I finally had something that I had always wanted – a “Chopper” – kinda. 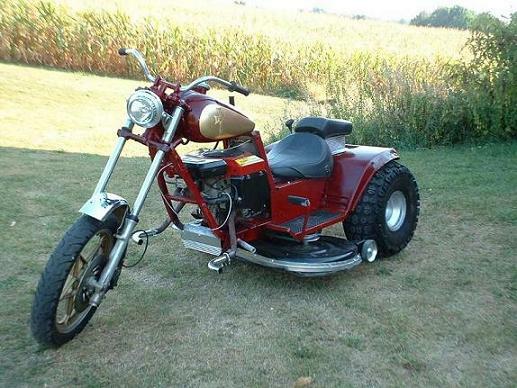 A “Farmer’s Chopper”! 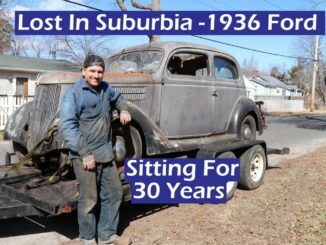 I have sure have a good time showing it at antique tractor and garden tractor shows – and riding in parades. People always ask, so I will tell you — YES, you can still mow grass – if you want to!